Defendant Beate Zschaepe waits at Oberlandesgericht courthouse in Munich, Germany, before judges announced she was found guilty in the marathon neo-Nazi murder trial on Wednesday, July 11, 2018. 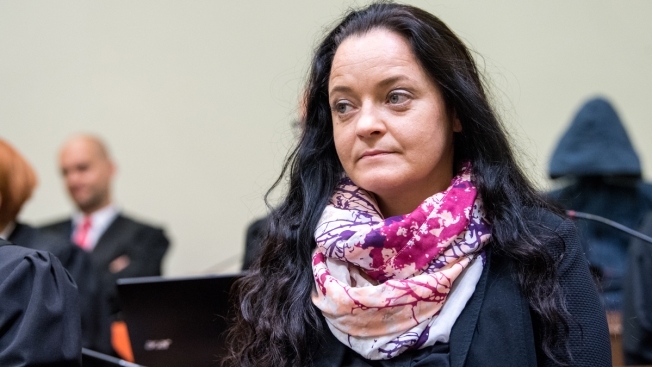 One of Germany's most high-profile neo-Nazi trials came to an end Wednesday when so-called "Nazi bride" Beate Zschaepe was found guilty of 10 counts of murder, NBC News reported. She is the last surviving member of a neo-Nazi gang, the National Socialist Underground, that carried out a series of killings and bombings between 2000 and 2007. The gang killed eight men of Turkish origin, a Greek migrant and a female German police officer. Zschaepe spoke only twice during the five-year case, but did deny taking part in killings while also apologizing to the victims' families.